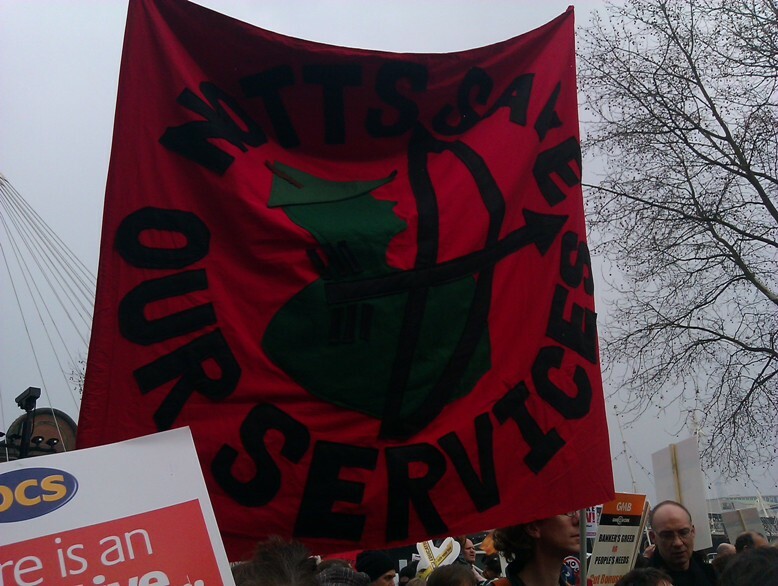 Four videos from Saturday’s May Day (international workers’ day) celebrations in Nottingham city, march into town from the Forest Recreation ground to the city centre and rally in the Congregational Hall, Castle Gate. Video of march and start of rally (MC speech): http://www.youtube.com/watch?v=wNW1-isw2Uw#! 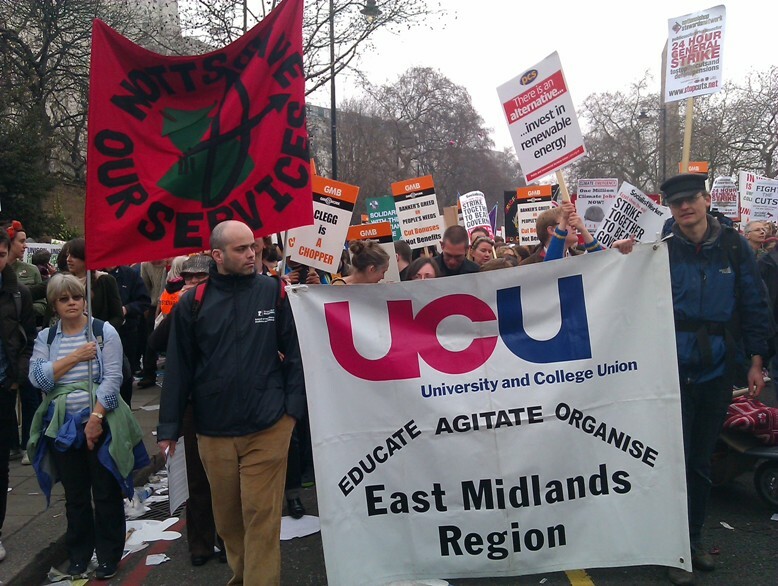 Nottingham protest against cut to Educational Maintenance Allowance [plus link to Central TV video] – and update about next demo on Saturday 15th. 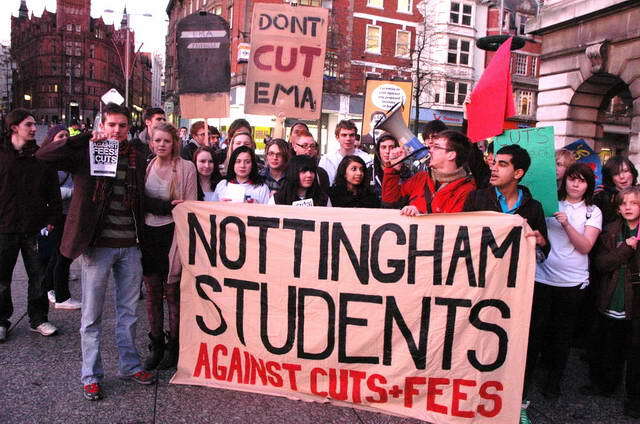 See inspiring photos from todays protest against the cut to Educational Maintenance Allowance that will affect 16-18 year olds, that can be found on the Nottingham Students Against Fees and Cuts (NSAFC) website: http://nsafc.wordpress.com/2011/01/11/ema-demo/. 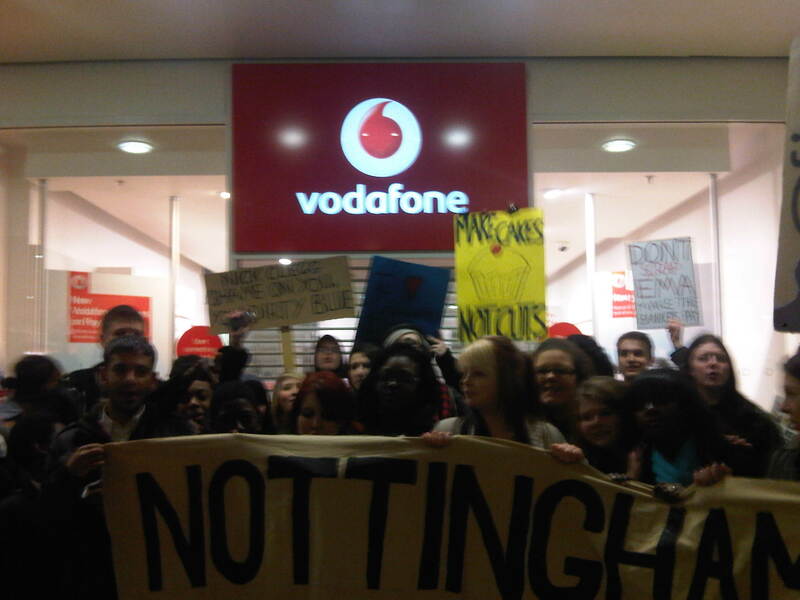 The protest was supported by university students and also focused on the increase of fees to £9000 a year due to begin 2012 that was passed in the House of Lords in December. 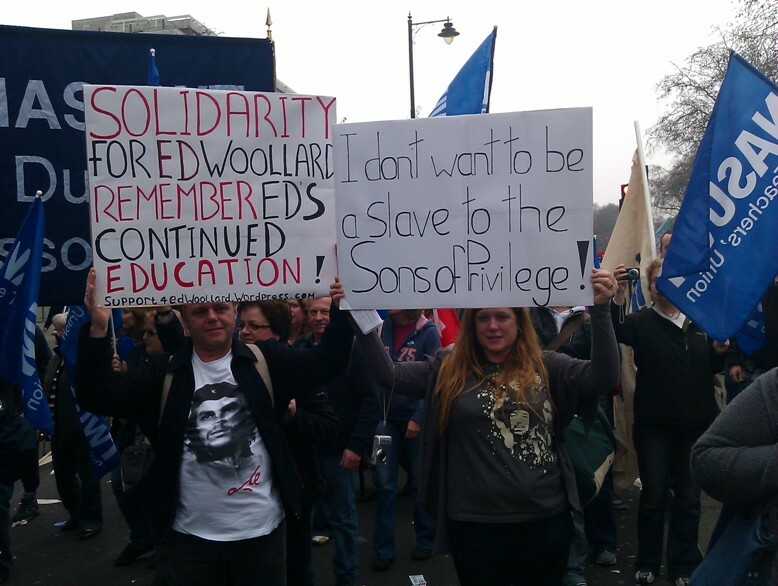 Also today, the courts jailed Edward Woollard, the 18 year old student who dropped a fire extinguisher from the roof of the Tory HQ, for 32 months for the public order offence of ‘Violent Disorder’: http://www.indymedia.org.uk/en/2011/01/471869.html. Many other cases are due from the same day. 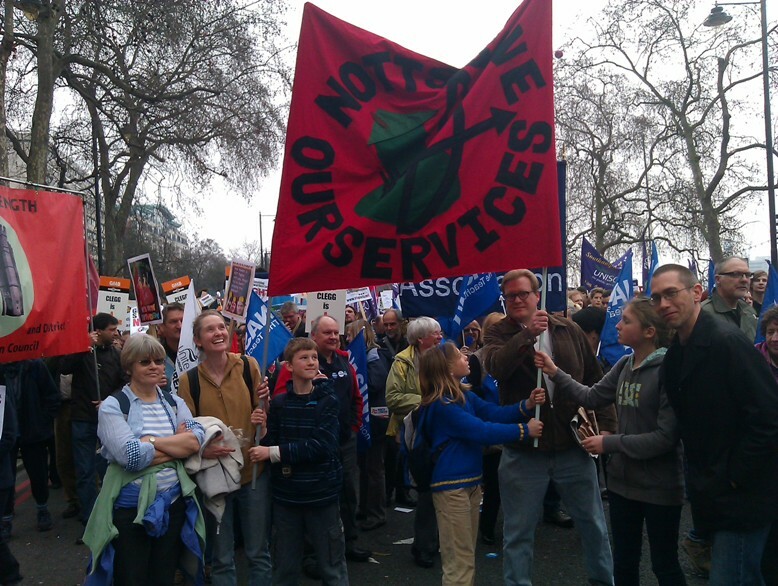 For their support see Stop the hunt on the Millbank protestors (Facebook) and We need unity – defend the Millbank protestors. Also (support statement immediately after protest): Sign this statement to stand with the Millbank protesters against victimisation! 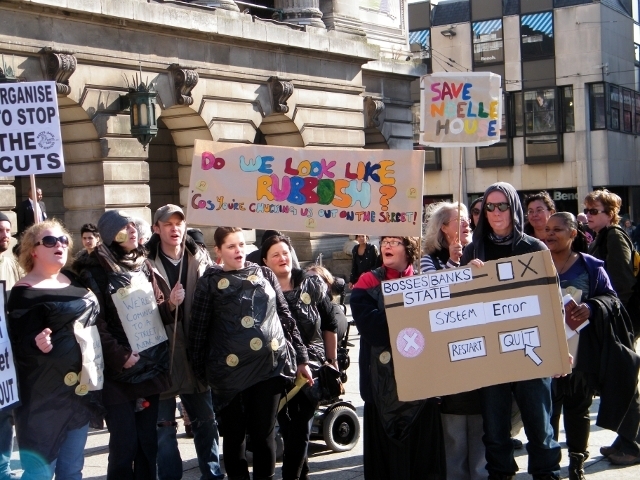 Clearly if you are going down to the next demo it’s a good idea to have some legal knowledge. If you don’t have local legal support on your coach, the ‘Bust Card’ of the Legal Defence and Monitoring Group in London is a very good resource worth taking with you. 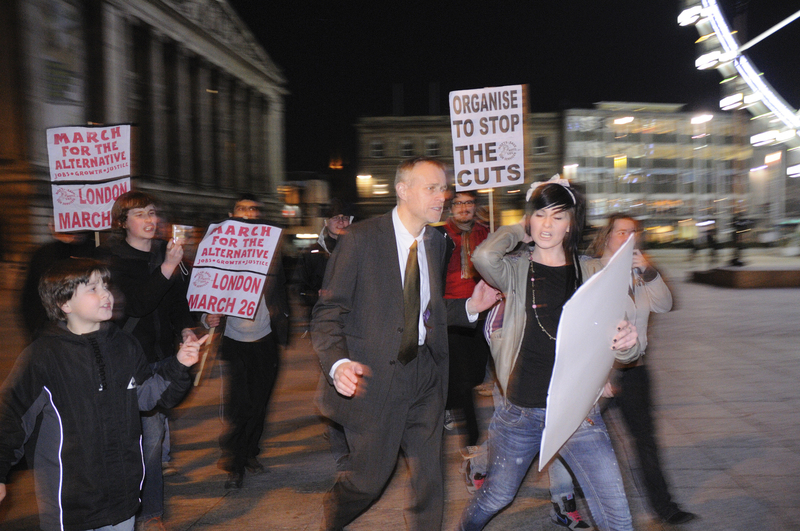 LDMG are very experienced with police repression, coming as they did out of the anti-Poll Tax ‘Trafalgar Square Defence Campaign’, whose http://www.ldmg.org.uk/ members of have recently supported the anti-fees demos and occupations.